The White House welcomed Nursultan Nazarbayev, president of Kazakhstan, for a meeting with U.S. President Donald Trump on Tuesday. It was the second time the two have met, the first time taking place in Saudi Arabia during Trump’s visit there last May. This was the first working visit by the head of state from a Central Asian republic to the White House since Trump’s inauguration almost one year ago. 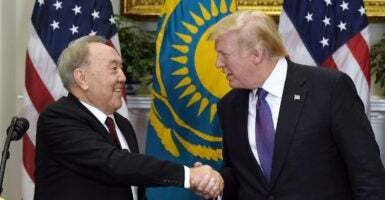 Nazarbayev’s visit was timely, and offered Trump an opportunity to demonstrate America’s geo-political, security, and economic interests in Central Asia. The U.S. has developed good relations with Kazakhstan since the 1990s. Those ties are still going strong, but more can be done. Central Asia is a region often ignored by U.S. policymakers until it is too late. In the early 1990s after the fall of the Iron Curtain, the U.S. began to pursue relations with these newly independent republics. But after a few years, that initial enthusiasm for engagement in the region petered out. This quickly changed, though, after the tragic events of 9/11. In the aftermath of the terrorist attacks, the U.S. had to scramble to rebuild relations with the region. For several years, Central Asia became vitally important for U.S. anti-terrorism operations in Afghanistan. But when President Barack Obama ended U.S.-led combat operations in Afghanistan, U.S. engagement in Central Asia waned yet again. So what’s next for the U.S. in Central Asia? The U.S. needs to show a more enduring and strategic engagement with the region and Nazarbayev’s visit to the White House is a great place to start. Central Asia has sat at a crucial geo-political crossroads for the Eurasian landmass for centuries. Kazakhstan is located in the heart of Eurasia and is a regional leader in terms of economic, security, counterterrorism, and energy matters. It is in America’s interests to have good relations with countries in the region—especially Kazakhstan, which is America’s natural ally there. Kazakhstan is a Muslim-majority country, but maintains a commitment to secularism in its political life. 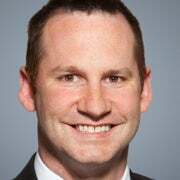 It is also a leader in the nonproliferation movement, having been one of a few countries in the world to give up nuclear weapons it had inherited from the Soviet Union. Even though Kazakhstan has not participated in the Astana process, a series of talks aimed at finding a political settlement to the fighting in Syria, it did a good job of hosting these yearlong talks trying to end the bloodshed. Kazakhstan is currently halfway through its two-year term as a nonpermanent member of the United Nations Security Council, and has been an important ally on the council in addressing North Korea’s deadly nuclear aspirations. Nazarbayev came to Washington seeking clarity on U.S. policy toward China, too. Due to its geographical location and history, Kazakhstan is a balancing power. Kazakhstan has to balance its foreign and regional relations among Russia, the U.S., and China—without antagonizing any of these great powers. After a year in office, it is clear which way the Trump administration is going with Russia. It seems to be taking a tough position against Russian assertiveness in Europe and on Russia’s involvement in the conflict in Ukraine. However, there are still many question marks with China. Until there is more clarity from Washington—especially on the U.S. position on issues like China’s Belt and Road Initiative, a plan to create a modern version of the old Silk Road trading routes—it will be more difficult for Kazakhstan to manage its relations. The situation becomes even more complicated when one factors in the role of secondary actors like Syria, Iran, and North Korea into the formulation of U.S. policy toward Russia and China. This should not be about picking sides. Kazakhstan is located in a complicated region of the world, and it is in America’s interest that it maintain cordial relations with all its neighbors. But in order to achieve these goals, the U.S. must prove that it is a serious player in the region—not through words, but through actions. Another aspect of the national security strategy worth noting is that Central Asia is acknowledged as being important for the military mission in Afghanistan once again. A key plank of the administration’s Afghan strategy is pressuring Pakistan to end its support for the Taliban and associated groups. A consequence of this approach with Islamabad might be that the ground and air resupplies transiting Pakistani territory could be cut or stopped all together. If this happens, Central Asia could again become vital for the military effort in Afghanistan. We will insist that Pakistan take decisive action against militant and terrorist groups operating from its soil. We will work with the Central Asian states to guarantee access to the region to support our counterterrorism efforts. Kazakhstan is at the heart of a region where many of America’s global challenges meet, whether it be energy security, nuclear nonproliferation, an emboldened China, a resurgent Russia, Afghanistan on the brink, or the increasing threat of extremism. If the U.S. wants to be a serious actor in Eurasia, where it has so many interests, then it cannot ignore Kazakhstan. The best way for the U.S. to weave its way through these challenges is by having a strong bilateral relationship with Kazakhstan. This is why Nazarbayev’s visit is so important. No serving U.S. president has visited a Central Asian republic since they gained independence in 1991. The president should reciprocate Nazarbayev’s visit in the near future.